To give a sense of how hard this task is, while the Milky Way’s black hole has a mass of 4.1 million suns and a diameter of 60 million kilometres, it is 250,614,750,218,665,392 kilometres away from Earth—thats the equivalent of travelling from London to New York 45 trillion times. As noted by the EHT team, it is like being in New York and trying to count the dimples on a golf ball in Los Angeles, or imaging an orange on the moon. The measurements of the speeds of matter around the centre of the black hole are consistent with being near the speed of light. 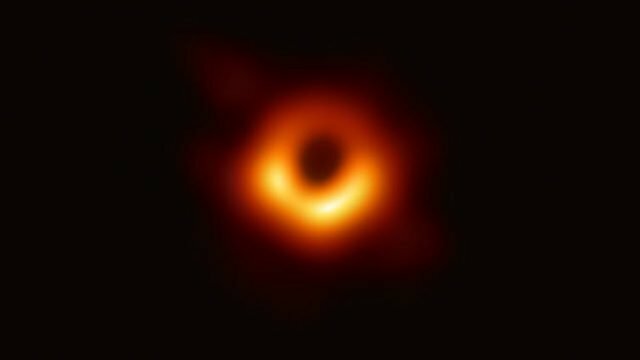 From the image, the EHT scientists determined that the M87 black hole is 6.5 billion times the mass of the sun and 40 billion kilometres across—that’s larger than Neptune’s 200-year orbit of the sun. Kevin is an experienced observational astronomer whose core research interests cover a number of modern topics in extra-galactic astrophysics, large-scale structure of the Universe and cosmology. These include: •Galaxy formation, environment and evolution over cosmologically significant timescales; •Stellar populations inside galaxies and their response to their physical environments; •Clusters and superclusters of galaxies, their kinematics, constituents & growth; •Brightest galaxy cluster members (e.g. cD galaxies) & dwarfs; •Filaments of galaxies that stretch between galaxy clusters, & topology; •Large, wide-field and deep redshift surveys of the sky. Along the way, he has also contributed to a number of related and diverse research fields that include: •Astronomical image processing and automated galaxy classification; •The virtual observatory project and catalogue matching; •Quasar detection and evolution; •Dark energy and its influence on our cosmological model; •Astrophysics and physics education; •Random number generation, statistics, statistical methods, scientific sociology, and game theory. His research and teaching have taken him to a number of positions world-wide, including undertaking his PhD at Durham University, and subsequent positions at the University of Queensland, Monash University, a fellowship at the University of Oxford and more recently the University of Hull.